One of New Zealand’s most enduring political institutions, the Kīngitanga (Māori King movement) was founded in 1858 with the aim of uniting Māori under a single sovereign. Waikato is the seat of the Kīngitanga, and the early years of King Tāwhiao’s reign were dominated by the Waikato war of the 1860s. The longest-serving Māori monarch was the beloved Queen Dame Te Atairangikaahu, who reigned for 40 years until her death in 2006. The Kīngitanga (Māori King movement) is one of New Zealand’s longest-standing political institutions. Founded in 1858, it continued in the 2000s. Traditionally Māori had no centralised monarchy. Tribes were independent and were led by chiefs. In the 1850s there were growing numbers of European settlers and demand for Māori land, and Māori lacked political power. Some Māori wanted to unify the tribes under a sovereign. In 1853 Mātene Te Whiwhi and Tāmihana Te Rauparaha began travelling round the North Island looking for a chief who would agree to become king. However, most chiefs declined. 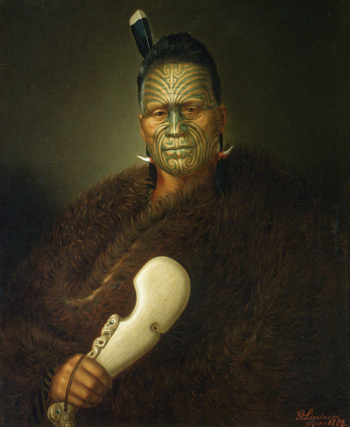 In 1856, at Pūkawa, on the shores of Lake Taupō, the Waikato chief Pōtatau Te Wherowhero was nominated as king. At first he refused, but later agreed. In 1858 he was declared king at Ngāruawāhia. Pōtatau died in 1860 and his son, Tāwhiao, became king. In 1863 government troops invaded the Waikato, and war followed. Waikato were defeated, huge areas of their land were confiscated, and Tāwhiao and his followers retreated into the King Country. In 1881 they returned to Waikato. Tāwhiao worked unsuccessfully for the return of confiscated lands, and travelled to London in 1884 to look for support from Queen Victoria. Tāwhiao set up the Kauhanganui (Kīngitanga parliament) and began poukai (annual visits to Kīngitanga marae). Mahuta became king in 1890 after the death of Tāwhiao, his father. In the 1890s the Kīngitanga tried unsuccessfully to unite with the Kotahitanga (Māori parliament) movement. From 1903 to 1910 Mahuta was a member of the Legislative Council, appointed by Premier Richard Seddon. Mahuta died in 1912 and his son, Te Rata, became king. Te Rata was often ill. In 1914 he and three others travelled to England. He met King George V, but was told that the land confiscations were an issue for the New Zealand government. Te Rata’s cousin, Te Puea Hērangi, became a Kīngitanga leader. She opposed participation in the First World War, and worked to rebuild an economic base and to establish Tūrangawaewae marae at Ngāruawāhia. Korokī reluctantly became king in 1933 after his father, Te Rata, died. At Tūrangawaewae he hosted important visitors, including Queen Elizabeth II in 1953. After Korokī died in 1966, his daughter, Piki, was crowned as Queen Te Atairangikaahu, the first Māori queen. She was made a dame in 1970. One of the most important achievements during her reign was when Tainui–Waikato signed a settlement with the government in 1995 over the land confiscations. Te Atairangikaahu died in August 2006. She was the longest-serving Māori monarch. Te Atairangikaahu’s son Tūheitia became king in 2006.